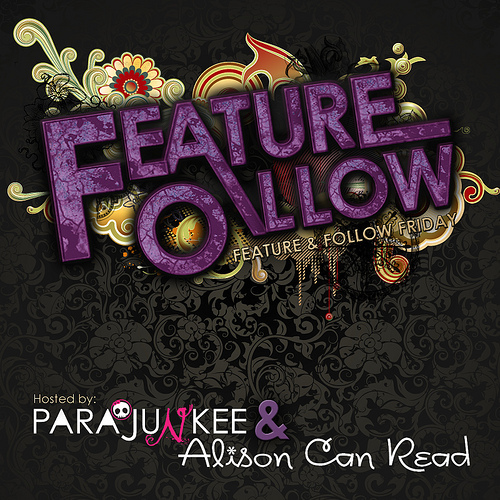 Feature and Follow Friday is hosted by both Parajunkee and Alison Can Read! THE CLASSICS- because where ever you are they must be touched upon. 1984 by George Orwell- When I first read this book a year ago, I HATED IT! And with good reason. I still think it's awful, BUT it is also the reason why I passed my AP exam. Because what happened in the book related so well to what happened in the Russian Revolution as well as many other events in history. This is a book people need to read so we can watch out for what we are becoming. In Cold Blood by Truman Capote- Okay the only reason why this is on my list is that this is one of the books I picked for my summer reading Critical lens. To Kill a Mockingbird by Harper Lee- This is one of the only books that I've read in school and enjoyed. Plus it's good and shows our heritage. The Odyssey by Homer-- Two words. EPIC POEM. Enough said. Lord of the Flies by William Golding- I love this book AND it's a classic showing us about human nature!! Yes please! The Swiss Family Robinson- I have and always will love this book! The Adventure of Sherlock Holmes- These books are amazing and need to be loved by all. The Jungle by Upton Sinclair-- This is only because I want to read it and think others should as well. Night by Elie Weisel- This book is so heartbreaking and yet told in such a strong voice. I not only respect the author for all that he went through, I admire him and his story and the way that he told it. THE MODERN DAY BOOKS- because i there are so many current books out there! Leviathan by Scott Westerfeld-- I love this book! Need I say more? Harry Potter by J.K. Rowling- A book that every single person in the universe should read. Unraveling by Elizabeth Norris-- Alternate Universes!!!! YAY!!! Being Jamie Baker by Kelly Oram-- Another just because I said so. I doubt many people in my school would ever read that many books... The Classics are books that I think everyone should read, but the moderns are a lot more open. I think if I was ever to have an English class I would give them a list of my favorite YA books and then have them pick a couple. Hopping through. I do think the classics are important to read in school. They may not be as fun, but if you don't read them in school you probably won't. I completely agree!! They are definitely books that without school I would ever have read. I will enroll in your english lit class as long as I'm not forced to read the classics. New follower via twitter and bloglovin. But some of the classics are awesome!!! Nice!! You went both ways, very nice! Didn't think to do that, but then again I wasn't real big on classics myself! I agree with Alison Can Read. It's tough convincing myself as an adult to read a classic. Most of them probably won't get read because they're not as entertaining as the books out now. But great choices both classic and new. Love your tree icons. I'm na new twitter, facebook, and bloglovin fan. I am one of the few who is generally speaking, a classics fan. But I do agree that it never hurts to have a good mix with a contemporary or two! :) My old high school now includes The Hunger Games on it's summer reading list. So the times are changing somewhat! New follower on Facebook, Bloglovin and Twitter. You've now gotten me interested in what your curriculum book list is like for the year, would you like to share? Harry Potter and Hunger Games made my list! TKaM and Lord of the Flies shouldve been on my list but I forgot them lol! I'm in...where do I sign up?? I went with a salute to mythology. I was about to be intimidated by so many books but then I read we get to pick some of them! Wonderful list! I never knew swiss family robinson was a book. I just thought it was a weird tree at Disney. I am for sure gonna have to read it now!! and I loved Night by Elie Wiesel. I know that makes me sound horrible but I could feel all of it as I read it. It was powerful! Old follower on bloglovin, new twitter!